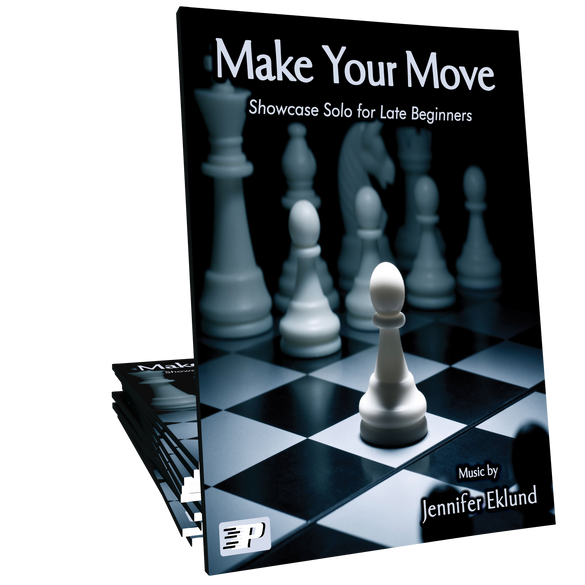 Make Your Move is a fast showcase solo in A minor for late beginners of all ages. 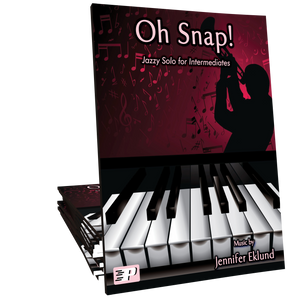 Ideal piece for reinforcing staccato and legato phrasing and easy hand shifts. 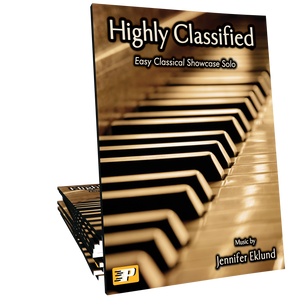 Part of the Easy Spotlight Solos songbook. 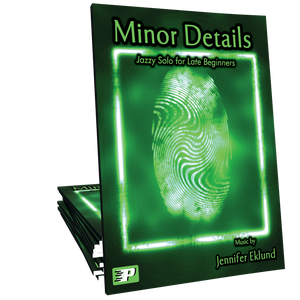 A great supplement piece for students who need to reinforce staccato and legato and to reinforce the listening of the sound. 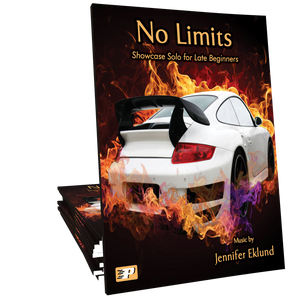 A terrific supplemental piece for elementary students. A wonderful teaching piece reviewing staccato and legato. Very fun to play! I recently assigned this piece to new student of mine, an adult beginner. Even though she was sight-reading, it was a pleasure to listen to this piece. 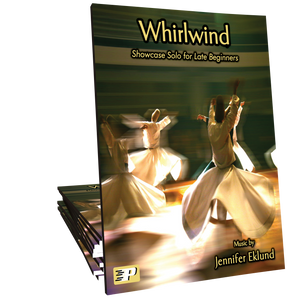 Make Your Move will strengthen her staccato and legato technique.